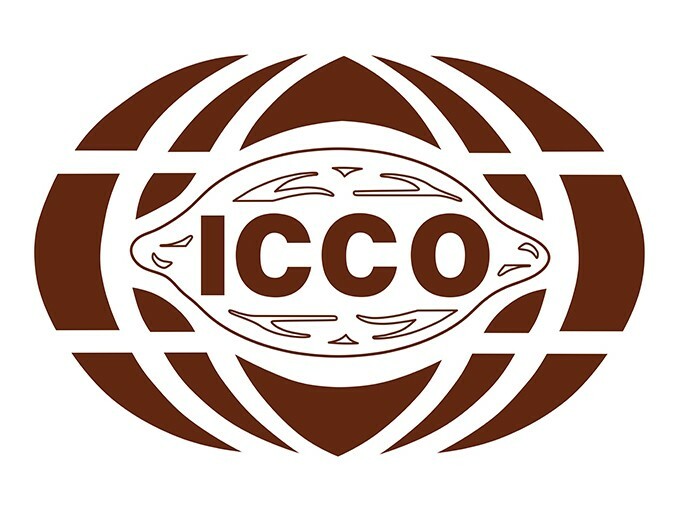 LONDON, UK — The ICCO Expert Working Group on Stocks (EWGS) met today, Thursday 24 January 2019 to review the level of world cocoa bean stocks. The EWGS is composed of experts in the cocoa field who meet once a year, at the invitation of the ICCO, to review and analyse the results of the ICCO’s annual survey of worldwide cocoa stocks. The survey has been conducted every year since 2000 and aims to improve transparency in the cocoa market. The result of the latest survey showed identifiable world cocoa bean stocks declined to 1.480 million tonnes as at the end of the 2017/18 cocoa year (30 September 2018). 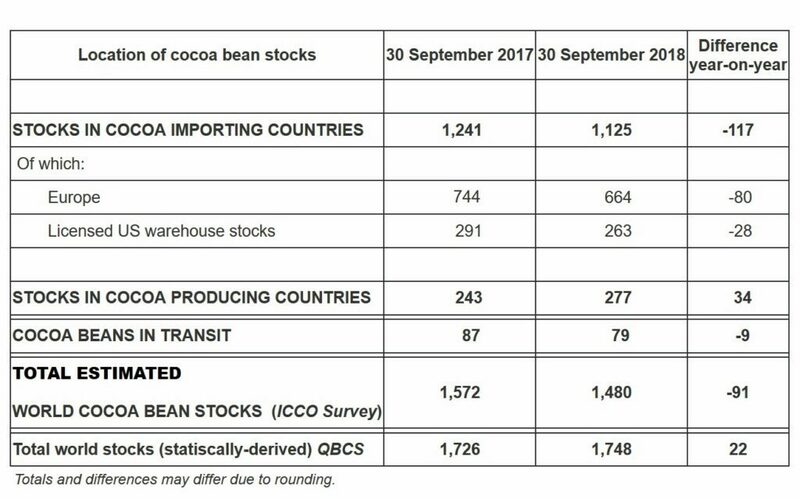 76% of the stocks were located in cocoa importing countries, while 19% were held in cocoa producing countries and 5% were afloat as at 30 September 2018. The level of world cocoa bean stocks identified by the ICCO survey was down by 91,000 tonnes compared to the previous year. This result differs from the statistically-derived estimate published by the ICCO in November 2018 in its latest Quarterly Bulletin of Cocoa Statistics (QBCS), which showed a small supply surplus of 22,000 tonnes for the 2017/18 cocoa season. The EWGS now notes that a gap of 268,000 tonnes has developed between the annual survey of cocoa stocks held in warehouses worldwide and the ICCO’s statistically-derived stocks figure. The review conducted by the EWGS during its meeting led to the conclusion that the survey results underestimate existing world stocks due to the expansion of stocks held in locations not reporting to the ICCO survey. The most significant area of unreported stock was identified as Asia. The ICCO Secretariat agreed to continue its efforts to increase transparency of stock levels in the region. While the ICCO Secretariat maintains, so far, its supply surplus estimate of 22,000 tonnes for 2017/18 as published in its latest QBCS, it may revise that figure in its next Bulletin due at the end of February 2019, taking into account the outcome of this survey.